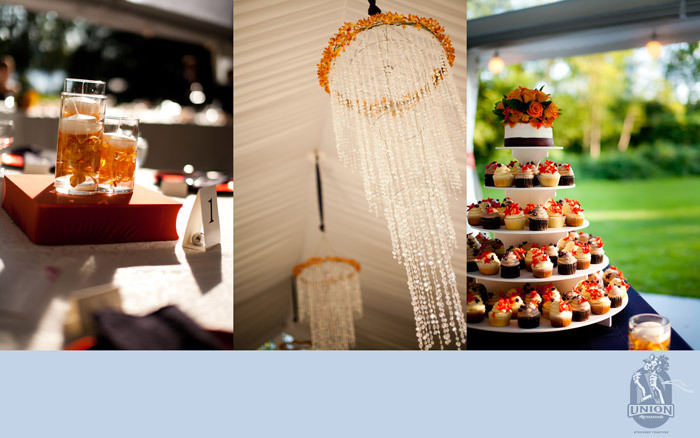 On July 29th, 2011, Wedding Design Studio designed a fresh and stylish wedding for Stephanie & Kiff at Hart House. The photographers were Union Photographers, and they did a fabulous job of capturing the fresh and vibrant wedding for these newlyweds. 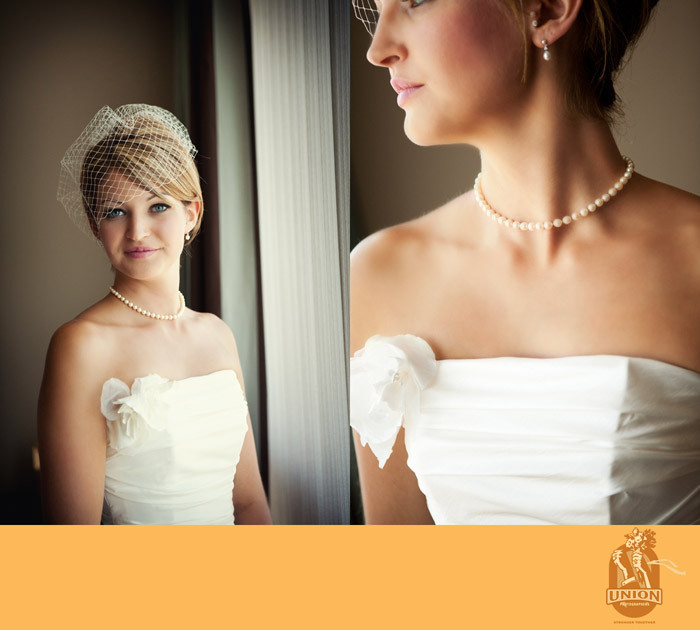 Stephanie looked so beautiful on her wedding day! 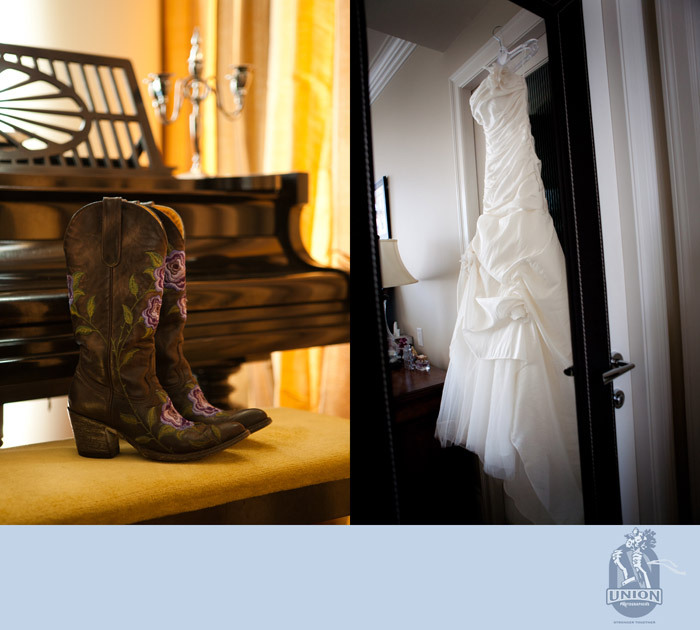 Stephanie wore these custom cowboy boots under her wedding dress. These creative boots were detailed with bright purple flowers. Stephanie & Kiff are so fresh and lovely, and Stephanie's bouquet matched the vibrancy of this young couple. 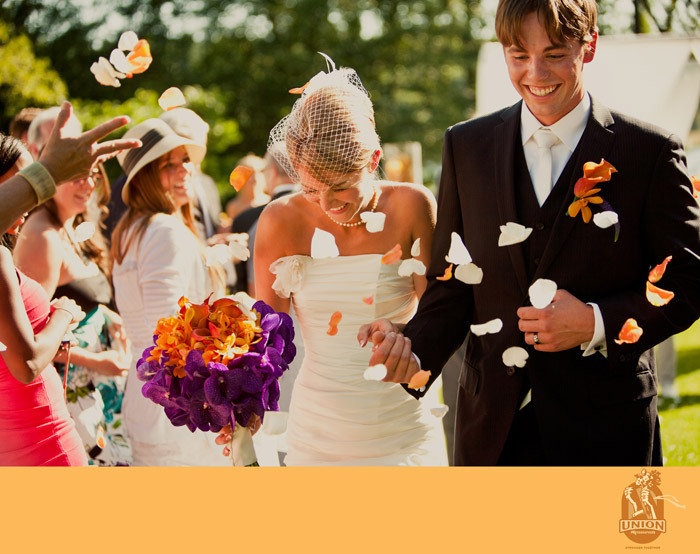 The bouquet was created with bright orange mokara orchids and purple vanda orchids. The decor was simple but yet bright and bold. The centerpieces were lit up at night by a bronzy-orange light box. Chandeliers hung from the center of the tent. Congratulations to Stephanie & Kiff! 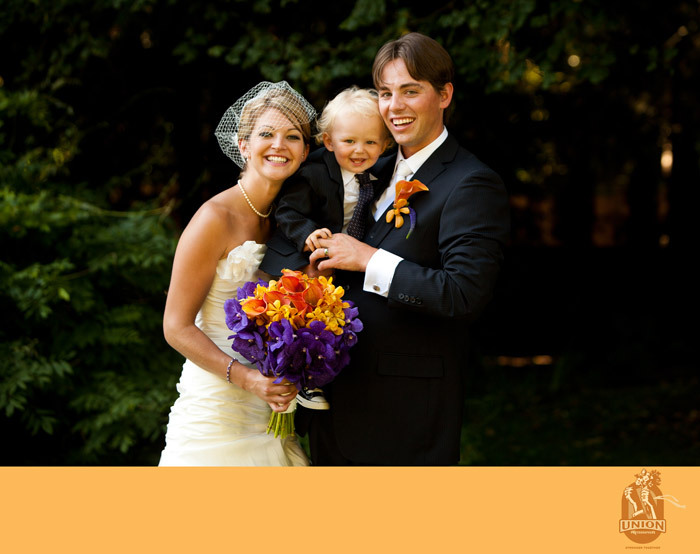 We hope that your marriage is fabulous, and that you enjoy your life together along with your little boy!